Simon & Schuster Books for Young Readers, 9781442481473, 40pp. Andrew Prahin won a partial college scholarship from his hometown of Arlington Heights, Illinois, by detailing his dream of becoming a children’s book illustrator. Then he went into advertising. 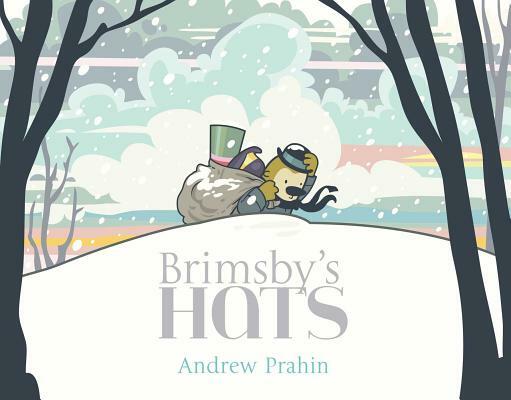 With the publication of Brimsby’s Hats, Andrew is finally making things right with the Arlington Heights Chamber of Commerce. Andrew lives in London with his wife, Katie. "Sophisticated storytelling, both through words and images, beautifully describes the significance of friendship and what it feels like to miss, keep, love and make a friend." "Newcomer Prahin's exceptionally polished digital spreads look like stills from an animated feature...A promising first outing for Prahin." * "This quiet charmer of a picture book is an inspiration for creativity, problem solving, and making friends." "Handling the loss of a friend who moves away is a common theme in picture books, but this is a fresh and offbeat version that helpfully highlights kindness and proactive problem-solving."